Indonesian ace, Liliyana Natsir, officially declared her retirement from badminton at her farewell event at Istora Senayan in Jakarta on Sunday, January 27th. 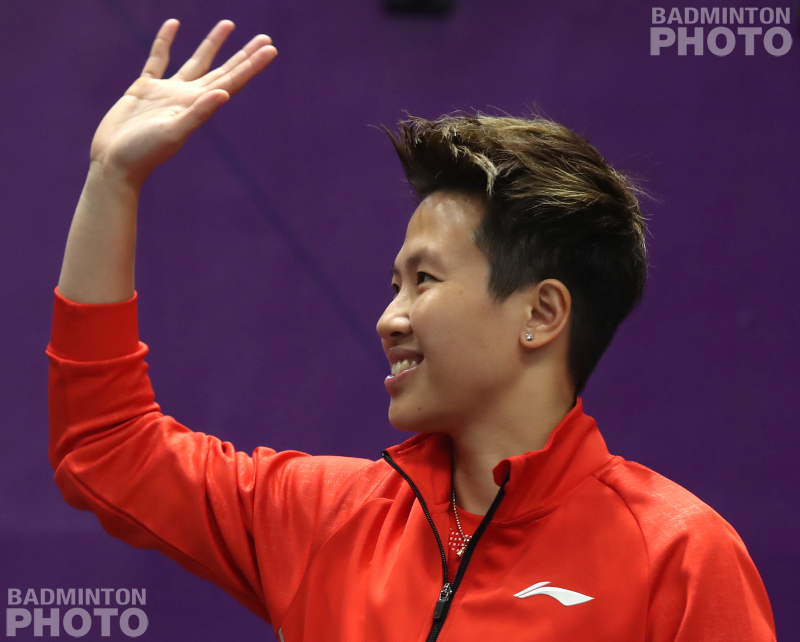 Liliyana Natsir’s Farewell Event took place one hour before the finals got underway on Sunday at the 2019 Indonesia Masters. The event began with a video screening of Natsir’s career featuring various matches, including when she won gold at the 2016 Rio Olympics with Tontowi Ahmad. “Today is a very hard moment for me. Throughout the 24 years I have worked in badminton, I have felt joy and sorrow, tears and laughter,” Natsir said while wiping a few more of those tears. “I have had a career in badminton for 24 years and today, Sunday, January 27, 2019, I declare my retirement from being a professional badminton athlete. I could not have been able to become a badminton athlete without support, badminton has raised my name, and I have been able to give back many honours for my country,” She added. As a top athlete who crosses the world of badminton, it is certainly interesting to look at the achievements of the 33-year-old retiree. Liliyana Natsir, who is also known by the nickname Butet, started her career at the age of 9. At that time, she joined the local badminton club in Manado, Pisok in North Sulawesi. At the age of 12, Natsir moved to Jakarta and arrived at PB Tangkas club. Five years later, she was selected to be a national team player at national training centre in Cipayung. After two years of labouring in obscurity, Natsir was paired with Nova Widianto to replace Vita Marissa after the Athens Olympics and in their first two tournaments in late 2004, they beat the Athens gold and silver medallists and picked up the first international title of her career, the 2004 Singapore Open. From there, Natsir’s career was rising. Along with Widianto, she won the 2005 and 2007 World Championship titles. 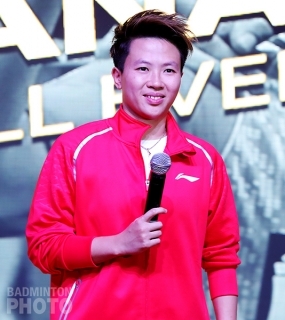 She also won the 2005 and 2009 SEA Games gold medals, the 2006 Asian Championships, and the 2006 Badminton World Cup, as well as 5 more Grand Prix and 5 Superseries titles, all between 2005 and 2009. In that time, she also picked up SEA Games gold and two Superseries titles in women’s doubles along with Vita Marissa. In 2010, Liliyana Natsir parted ways with Nova Widianto and was paired with Tontowi Ahmad. Older age did not make Butet overwhelmed by Ahmad’s young blood and they combined to take the Macau Open in their first tournament as a pair. Together with Ahmad, Liliyana Natsir scored a hat trick at the All England, from 2012 to 2014, along with 15 more Superseries titles and two World Championship titles. The partnership reached its peak in 2016, when they won the gold medal at the Rio Olympics, defeating Malaysia’s Chan Peng Soon / Goh Liu Ying in the final. Their last title together was the 2018 Indonesia Open, which had become a Super 1000 event in the new BWF World Tour. Unfortunately, Natsir has never won a gold medal at the Asian Games. Her best achievement at the Asian Games was only to win the 2014 Asian Games silver medal. That and the Superseries Finals are the most prestigious events where she managed silver but never gold. After hanging up her racquet, Liliyana Natsir says she wants to do many things that she hasn’t been able to do before. Among them, Natsir wants to have quality time with her family. This is a reasonable dream considering that being an athlete involves a very difficult schedule. World class players very rarely get a holiday, even during major holidays like Ied Fitr or Christmas Day. “As everyone may know, the burden for athletes is the difficulty in organizing their daily life. It is all subject to a life that is just about competing. For example, if we go to bed a little later, we will not be in top condition if there is a tournament the next day,” Natsir admit. “I want to wake up late in the afternoon, eat anything that I want to eat, go on a vacation, and get together with my family and friends. As a native Indonesian, I want to eat spicy food. Usually I was afraid of spicy food because it can cause stomach problems. Of course that’s not good if the next day I have a match to play,” said the 33-year-old after her last match. In addition to expressing appreciation to all those who supported her career, Liliyana also offered hope to young Indonesian badminton players: “I gave the opportunity to my juniors. I want my juniors to become new winners in the future,” said Liliyana in a farewell speech. “Let me give motivational words to my junior: Defeat is not a shame. To give up is a shameful,” she said. With her collection of titles, Liliyana Natsir is considered as one of the best badminton that Indonesia and the world have ever had. She has fought a whole succession of Chinese champions, from Gao Ling to Yu Yang to Zhao Yunlei to Huang Yaqiong. Her dedication and hard work since she was young to become a badminton player should be given the greatest appreciation. She has not only produced a list of achievements, but she also inspired other people around her to continue to work hard to make their dreams come true. We at Badzine join so many in the badminton world in expressing our gratitude for all the time, sweat, and heart that Natsir devoted to training and performing. 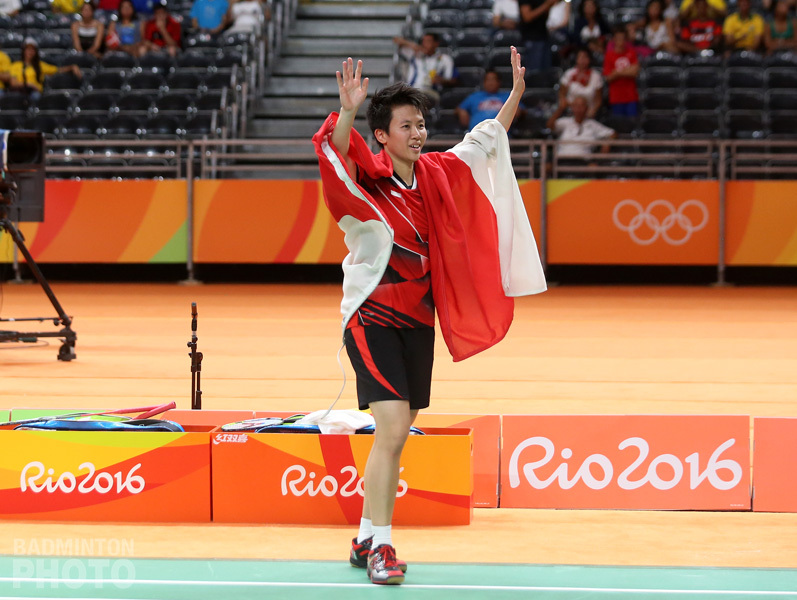 We hope that Liliyana Natsir remains an inspiring person wherever she decides she belongs. Till we meet again, legend!